Every several years a foreign correspondent takes the pulse of contemporary Mexico, chiefly for the benefit of North American readers. High-profile examples include Andrés Oppenheimer’s Bordering on Chaos (1996) and Julia Preston & Sam Dillon’s Opening Mexico (2004), but none have attained the authority of Alan Riding’s still-in-print Distant Neighbors (1985). Mexico: Democracy Interrupted, by Jo Tuckman of The Guardian, is the best survey since Riding’s. Tuckman arrived in Mexico in 2000 to see the PRI swept from power after 71 uninterrupted years. Her aim is to gauge how far the right-of-center PAN fulfilled the hope of democracy long-sought by a majority of the Mexican people and long-delayed by the “soft authoritarianism” and electoral fraud of the PRI. As her title implies, twelve years of PAN rule largely failed to deliver. On some fronts, things stagnated: poverty declined under Vicente Fox (2000-06) but rebounded, income-wise, under Felipe Calderón (2006-12); environmental policy, glib of promise, achieved next to nothing; political corruption gained more attention from a freer press but continued to be practiced and tolerated by the PAN, the PRI, and the left-wing PRD. On other fronts the balance was negative, especially the “war on drugs” begun by Calderón. This naive initiative has not only resulted in tens of thousands dead – a substantial minority innocent bystanders – but also caused untold damage to the social fabric. Another negative is the rise of “de facto powers”: above all, state governors and business elites. These exploited a weakening of the presidency, which no longer commanded a push-button congress, and persistently fragile regulators and judiciaries. The book is not, however, another exercise in apocalyptic pessimism, of the kind that mars Oppenheimer’s Bordering and saturates El Monstruo by the late John Ross (both of them riveting, all the same). Tuckman shows a remarkable even-handedness, refusing to vilify national leaders, and a healthy suspicion of the conspiracy theories to which Mexico is prone (an understandable trait given its history of propagandistic media). She fluidly interweaves a variety of angles and voices, from high politics and think tanks, to historical antecedents, to grass-roots organizing and the inhabitants of cinderblock homes. In the latter respect she improves on Riding, whose perspective was top-down. Another pleasure is Tuckman’s lucid language and her ability to cap analysis with a deft turn-of-phrase. Army incompetence in cartel-torn Juárez, witnessed first-hand, is summed up as “riding around with lots of fire power and not much clue about what was going on, let alone how to prevent it happening” (29). Mexico’s hard-working poor find they have to “hold off the stream of structurally-rooted bad luck that haunts them” (192). A couple of threads could have used more attention. State governors are termed feudal lords, but their power-mongering goes largely unexamined, as does their famed self-enrichment. Democratic immaturity is often attached to insufficient linkage between the parties and the people, but what such links might look like is rarely illustrated; comparative analysis with other nations might help. Historical errors, frequent in journalistic accounts, are relatively few, although the repeated reference to President Cárdenas (1934-40) as the architect of PRI rule ignores the equally important role of his predecessor Calles. 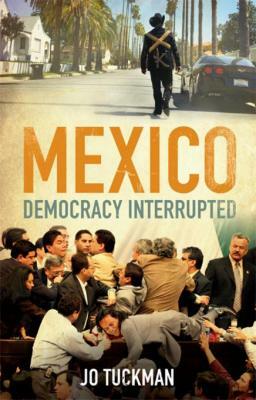 As a response to the common notion that, in 2000, Mexico “became a democracy,” Democracy Interrupted is a reality check. It argues that democracy cannot be defined by a free and fair ballot alone. It raises useful questions about Mexico’s political processes (and implicitly about Enrique Peña Nieto, soon to become president when the book was in completion). It shows sympathy for the have-nots, without elevating them to saintliness the way “subaltern studies” can do in academic texts. It evinces an ear for the telling quote yet suggests where opinions seem self-serving. Modest enough to admit when a trend is too opaque or too early for judgment, probing but not cynical, Tuckman is an authoritative and judicious guide.